What if you could open yourself to a world of spiritual freedom with endless love towards yourself and others. Imagine higher consciousness in the realms of sexuality to elevate the quality of your life. Would you be interested? The news is, as society evolves so does sexuality and new trends emerge! There exist educational events around the world that guide you through the fundamental process to gain inner-power in spirituality and sexuality. These events are brought to you by ISTA – the International School of Temple Arts. ISTA provides trainings, tools, and support for pioneers that want to improve their overall quality of life! 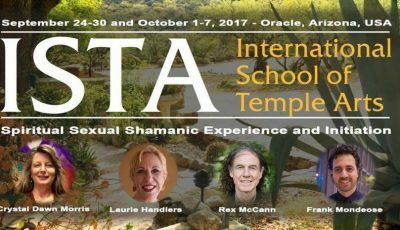 Thousands of people on 5 continents have attended ISTA trainings over the past 10 years and have been radically changed for the better by transforming old patterns into new conscious ways of being. According to some, for those who are open to it, it is an absolutely life changing experience. See what people around the world have to say about ISTA! Monde Osé’s founder and president, Frank, has dedicated next to 12 years of his life to sexuality, to learn the best practices and cutting-edge techniques; studying sexual healing, and sexual shamanism with experts in the field. Frank has become a faculty member for ISTA since 2015, representing the North American sector of events. And in 2016 alone, he has taught the Spiritual Shamanic Experience in five countries including Canada, USA, England, Mexico, and Costa Rica. The experiential retreat focuses on clearing the physical and emotional body of shame, guilt, and fear related to sexuality and authenticity. This is done through multiple pathways of healing: guided visualization, emotional release, shamanic initiations, energy tracking and conscious touch are just a few of the practices used to dive deep into the inner realms. This year, ISTA’s team of world-class facilitators will be offering the program in cities all over the world. Here are the upcoming events where you can join a training with Frank! 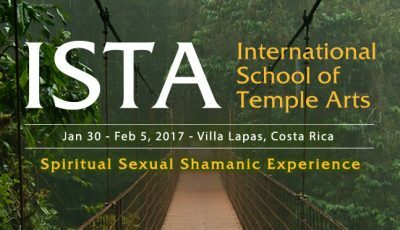 For the third consecutive year, The Spiritual Sexual Shamanic Experience is coming to Montreal, Quebec, Canada! If you are ready to transform your love life, a Spiritual Sexual Shamanic Experience could be interesting for you. Featuring Monde Osé’s president & founder, Frank, as co-facilitator on how to develop your sexual practice. OH YES! And next Thursday, January 24th, you’re invited to a FREE ISTA INTRODUCTORY PROCESS ONLINE! Check out the Facebook event for details.